Simple….just like this post….just like this recipe….because it doesn’t have to be complicated to be delicious. Use this recipe when you want something healthy, fast, and ….simple. It goes great with rice, pasta, risotto and a side of vegetables. Peel and Devain shrimp. Rinse and drain. Pat dry with paper towel, if necessary. Add shrimp. Immediately after adding shrimp, season with minced garlic, salt, pepper, paprika. 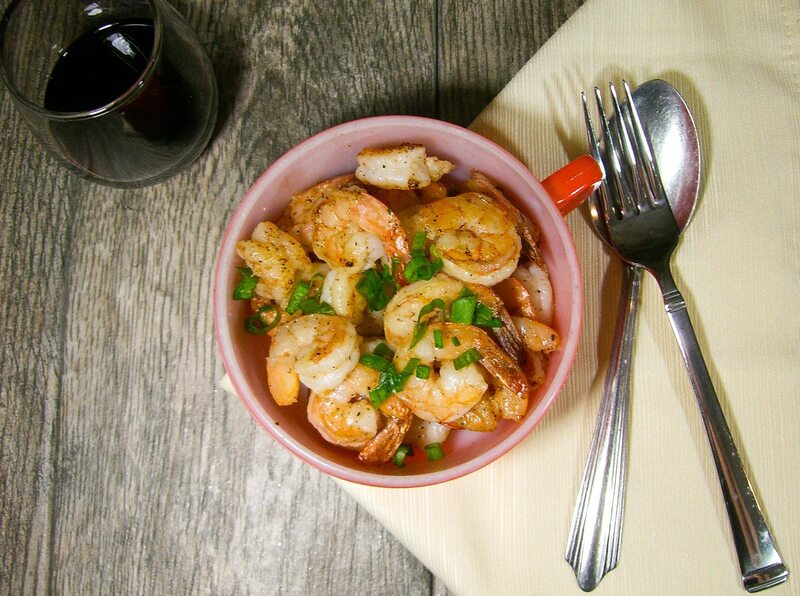 Allow shrimp to cook in pan on side about 2 – 3 minutes. Mix / flip shrimp with spoon and allow to cook an addition 2 min. Add 2 tbsp butter and let melt / simmer. Once heated, add wine and lemon juice. Let boil for 2 – 3 minutes, then add back shrimp. Simple....because it doesn't have to be complicated to be delicious. Melt 2 tbsp butter over medium high heat. Let boil for 2 – 3 minutes, then add cooked shrimp.